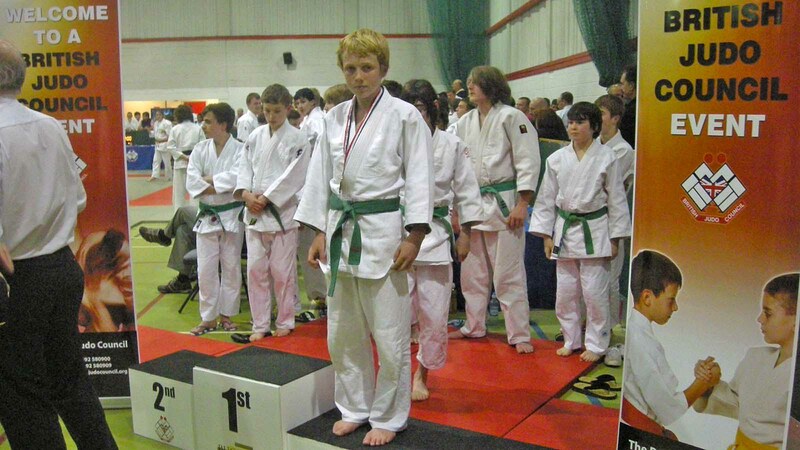 A St Mary’s teenager has won a bronze medal at a National Judo competition. 13 year-old Harry Stone represented the Isles of Scilly Judo Club last Sunday at the Judo National Championships in Northampton. He won his first two fights and then narrowly lost his third fight to the eventual gold medal winner. This put him into a ‘play-off’ pool where he won the next three fights and achieved a bronze medal. Club Chairman Duncan Graham told ScillyToday that this is the highest judo accolade of any of the local club members in the last 5 years. Duncan says he wouldn’t be surprised if Harry was approached by Team GB. Chloe Hicks was asked after the Welsh nationals, but the logistics of travel to training from the islands will always be difficult. Harry has been a member of the club for 6 years and Duncan says he has always shown promise. He went away for technical training at Easter and it has clearly paid dividends, says Duncan.